Welcome back to Zakat 2014, a very popular program in the eyes of the entitled persons that IHSAN has been promoting for years now. 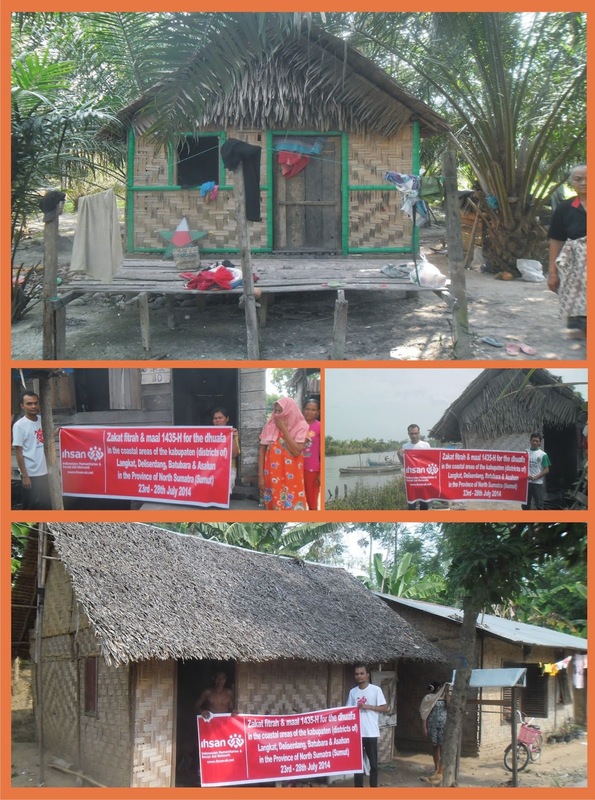 This time around we, as usual, we distribute zakat of wealth and zakat of fitrah (self-purification alms) to the poorest among the poor, to the most in need as we see them first-hand in our incognito door-to-door visit. We talk to those people directly, asking them about the daily life they’re going through and about the change for the better, if any. In the majority of the cases, change for the better looks like something that is constantly moving away from them. Allah SWT knows best, Allahu a’lam. Something that’s certain: that the zakat distribution like what we’re doing is always expected and is expected in a larger scale. This time around, we distribute zakat maal to about 150 recipients (Rp70,000 each) and zakat fitrah to about 55 entitled recipients (Rp90,000 each). May Allah SWT bless you for your donation, and please spend your precious time to check out the following pictures that show some of the entitled persons.